Among the crop of diet and recipe books that have dropped on my desk over the last few months I keep seeing one idea mentioned over and over again as a way to health up your diet – and that is replacing the white rice in sushi with quinoa. 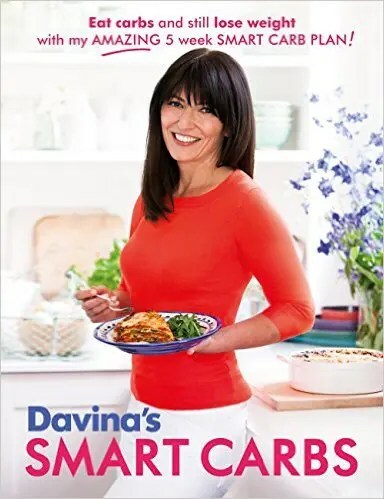 Latest to do it is Davina McCall in her new book Davina’s Smart Carbs: Eat Carbs and Still Lose Weight With My Amazing 5 Week Smart Carb Plan! who heads up her recipe with the comment ‘Amazing: Sushi made with quinoa is such a brilliant idea.’ And yes, yes it is. See while sushi has a super healthy reputation, it might not completely deserve it – the fish bit is okay, the seaweed bit is brilliant, but those slabs of white rice that come with it – not so great. Not only are they usually cooked in salt, white rice is a high GI food (GI is also known as glycemic index and is a measure of how fast a food turns into the sugar glucose in your system) and as a general rule, the lower GI the foods you eat the better. One top of that, while it looks like a light meal, a large sushi roll – eight individual pieces – contains the same amount of carbs as three slices of bread. Quinoa however, while still being carby, also contains a healthy dose of protein which lowers its glycemic index (and ensures it will help keep you fuller for longer). This makes it, as Davina calls it, a smart carb. And, THAT’s why everyone is raving about Qui-Shi. So, how do you make it? Well, here’s the recipe for Salmon Hand Rolls from Davina’s latest book for you to try. Sadly, they aren’t the best choice for a work lunch – she does warn they can go a bit soggy if you don’t eat them quickly after making them, so, maybe give them a go at weekends. 1 Dice the salmon into ½cm cubes and season them with salt and pepper. Mix the lime juice and soy sauce together and pour it over the salmon. Turn the salmon gently until all the cubes are lightly coated with lime and soy, then set them aside for a few moments. 2 Put the quinoa in a bowl, season it with salt and pepper and stir in the orange juice. 3 Cut each square of nori in half, following the straight lines.Place a half sheet in your hand, with a short side running along the wrist end of your palm. Put a heaped tablespoon of quinoa over the third of the nori sheet closest to you and spread evenly. Sprinkle over the cucumber, spring onions and cress or herbs, placing them high enough so that they will poke out a little once rolled. Finally, add a quarter of the salmon fillet. 4 To roll, take the corner closest to you and fold it up to the top corner where the filling ends. Then simply wrap the rest of the nori sheet round until you have an ice cream cone shape. Serve with pickled ginger, wasabi or chilli sauce, if you like. Eat immediately. Recipe and image used with permission. Taken from Davina’s Smart Carbs by Davina McCall – out now from Orion Books, order it here via amazon. Davina’s Smart Carbs: Eat Carbs and Still Lose Weight With My Amazing 5 Week Smart Carb Plan! NB: NYNHB is a member of the amazon affiliates program. If you click on the link above and make a purchase I get a small commission.